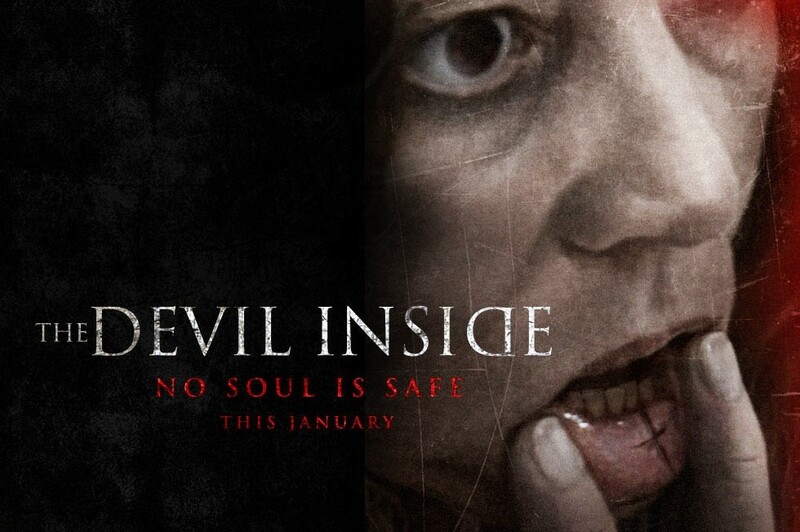 Last January, The Devil Inside scared up a very surprising $34.5 million during its opening weekend. While horror fans seemed to be divided on the film's abrupt ending and how it impacted the rest of the film, many pointed to Suzan Crowley's intense, ferocious performance as Maria Rossi as being the true highlight of the film. As Maria, Crowley delivers a chilling portrait of a woman whose live has been shattered but what can only be explained as demonic possession. Crowley digs her teeth into the role with full force and keeps the audience entranced with her electrifying performance. 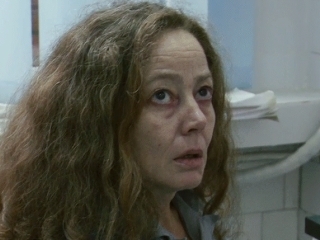 Crowley now has snagged a well deserved 2012 Fright Meter Award Nomination for Best Supporting Actress. She was gracious enough to speak with us regarding her nomination, her performance in the film, and what is next for her. Read below and enjoy the interview with this extremely talented actress! 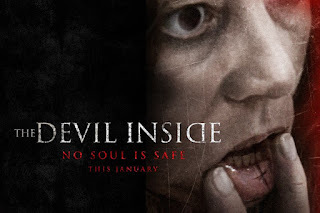 First, congratulations on your 2012 Fright Meter Award nomination for Best Supporting Actress for your performance in The Devil Inside. For those who may be unfamiliar with you, can you tell us a little about yourself? Thank You! I am a Brit, living in Los Angeles since my husband Tony Armatrading and I moved here in 2000. Prior to leaving London, I did LWT series The Knock, BBC series BackUp and Dennis Potter's Christabel and feature films The Draughtsman's Contract [dir. Peter Greenaway] and Born of Fire. How did you become involved with The Devil Inside? What attracted you to the role of Maria? It's a fantastic role… I mean: no-one can look at you and say "No: possessed people don't behave like that!" … so for an actor it's a license to play! Best of all, Maria thinks she is totally 'normal'. How did you go about preparing for such a harrowing and disturbing role? Brent Bell, [director/writer] and Matt Peterman [writer] told me that the starting point for The Devil Inside was a report that the Vatican has a school for exorcism, within the Vatican City, with criteria for possession, and that an old catholic text purports to say that the devil will try to possess the most virtuous of people… seemingly Maria was 'a good and virtuous person'… Then, whilst I was at theatre school, [Bristol Old Vic,] we did Arthur Miller's play, The Crucible, and during the show as the level of hysteria rose I could feel the terror rising … I wanted to frighten myself in that same way, and thought that Maria is trying to save her daughter from 'the devil' by allowing her own possession…. if that makes any sense! What was it like on the set? Any interesting stories you can share? We made the film in Los Angeles and in Bucarest, Romania… the set for insane asylum was actually a Veterinary Hospital… with donkeys wandering around the grounds! very creepy actually as the building was partly abandoned, like an old Victorian hospital… in one of the scenes, as I was being dragged from the 'cell,' I felt my middle toe dislocate… no pain just a very weird feeling… when scene ended pulled off my shoe and the toe was standing at right angles to my foot… which we all stared at for a while, before they called for the set medic, at which point a vet ran out of nearby clinic and relocated my dislocated toe! a strange day: how many people can say they've been treated by a Romanian vet? So do you believe in possession and/or the supernatural? During research for the role came across some mind boggling stories: viz: Fortean Times… I think that we have only discovered +/- 10% of the brain/mind's power: incredible things to come perhaps? … there are supernatural forces that our physics has not yet explained : like super nature [Higgs Boson]. Are you a horror fan? If so, what are some of you favorite horror films? The Shining, Psycho, Man With Xray Eyes, Scream, Friday 13th, 28 Days, Dracula [with Peter Cushing & Christopher Lee]… and The Exorcist! So what's next for you? Any upcoming projects we can expect? We moved to Los Angeles to pursue other areas of working in film and TV and I am one of the producers on the feature film Wild About Harry [written and directed by Gwen Wynne [winner Best of Fest Palm Springs International Film Festival,] for which we need to raise final funding for a small cinema release, so: we're starting a Kickstarter campaign in the New Year! I have been recording audio books, which is fantastic fun. Namely: The Secret Diary Anne Boleyn, Mademoiselle Boleyn and Jane: The Woman Who Loved Tarzan [all by Robin Maxwell] and Knight Awakened [by Colleen Callahan] and, of course, hoping for the sequel to The Devil Inside…after all: Maria Rossi still has [at least!] three devils inside. !